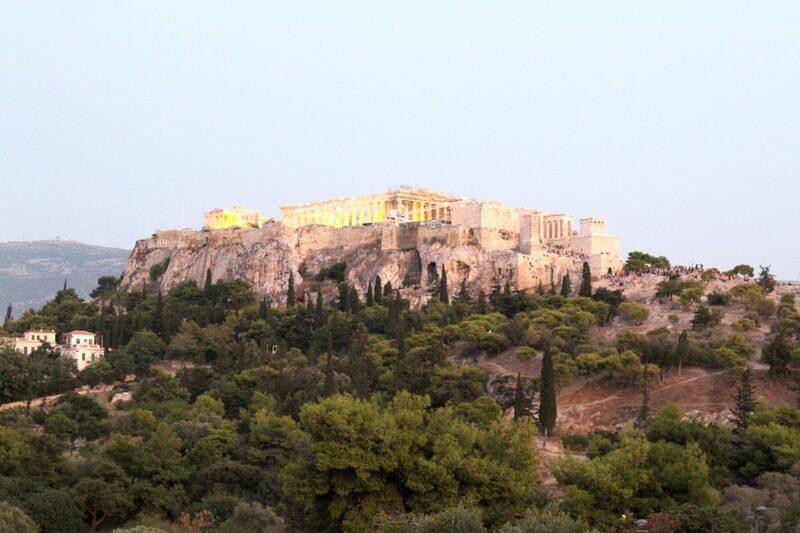 Outstanding views from The Acropolis. Sin Athina Restaurant was a great surprise for us. Let say, we went there for the view and dinner was just a plus. However, it turned out that we had one of our best meals in Greece, counting food, atmosphere and of course an outstanding view of The Acropolis. All tables are on the restaurant terrace, but not all of them with great views. I suggest you book in advance and ask for a good table. We strategically went there late in the afternoon so we could have a good view during daylight and another one at night. For it to happen let say we had to spend some time at the restaurant and order a certain number of dishes… not that this would be a problem, right!? 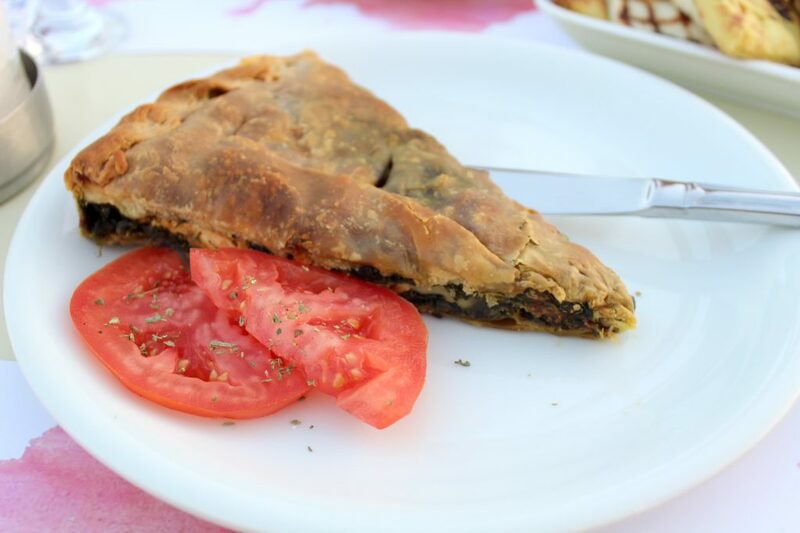 Spanakopita – traditional greek spinach pie with homemade filo pastry. 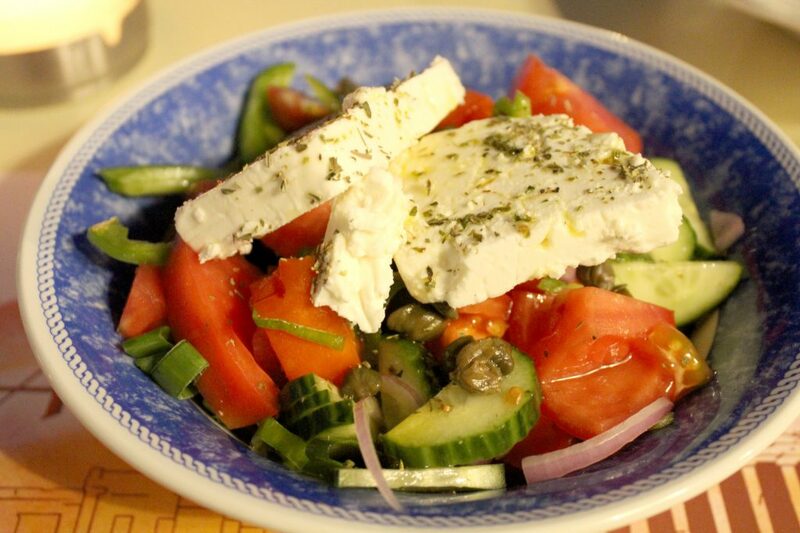 Greek salad – tomato, cucumber, olives, feta cheese, capers, onion, olive oil, and oregano. 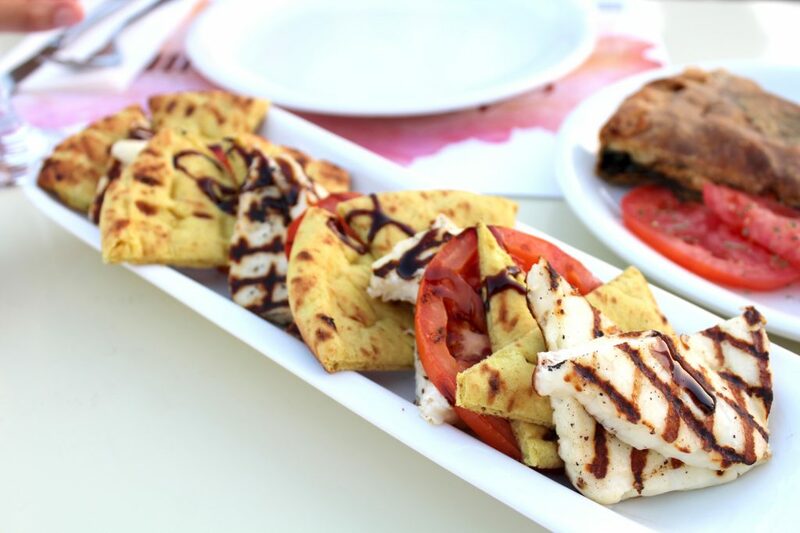 Greek onzo with tender pork fillet, smoked eggplant, and metsovone cheese. 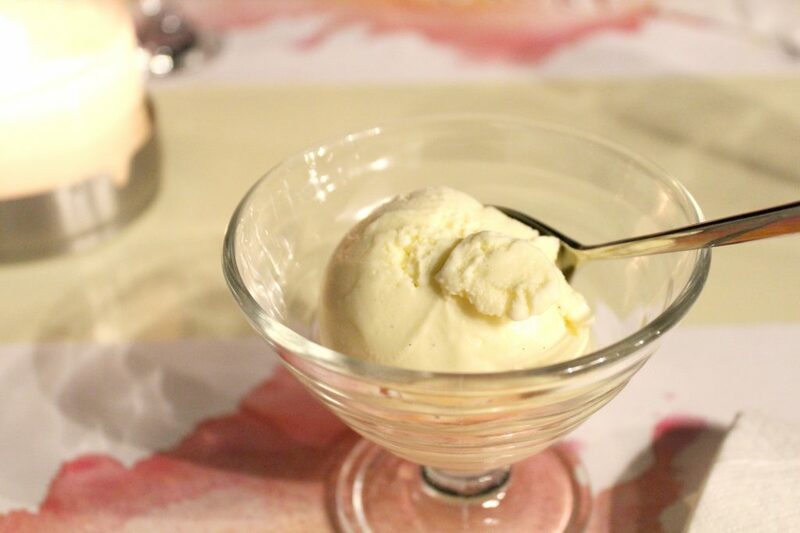 On the house, homemade vanilla ice cream. Food was very good, we loved that grilled haloumi entree. The Spanakopita though was a bit overcooked and on the dry side. 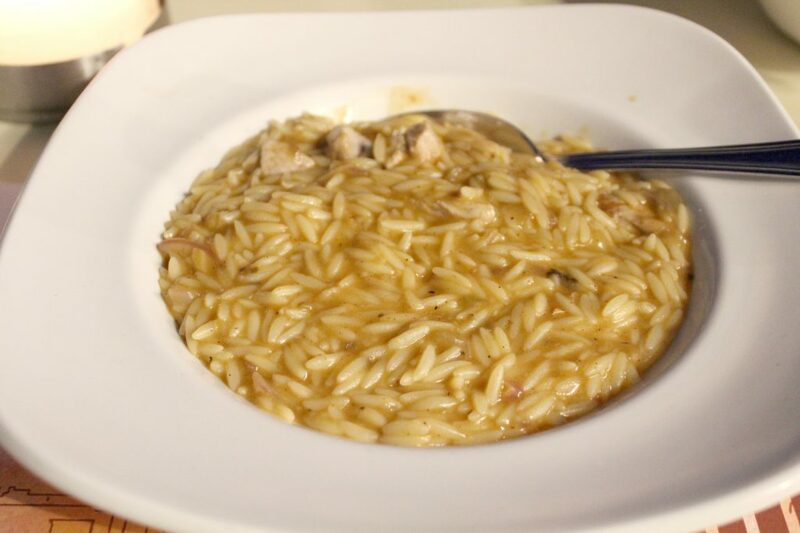 Another good surprise for me was that Greek Onzo, I’ve never tried this type of pasta before, and I really liked its rice-like texture and look, it is a good way to add some variety to your meals, you can replace rice with it when making risotto for example. Wonderful place, good food and service, nice atmosphere, and great views!